"We're really seeing an explosion of people coming to the mountains to play and also wanting a place to get work done," she says. 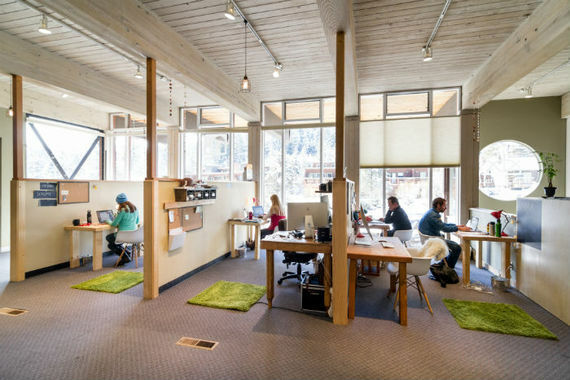 "The rise of co-working spaces in ski towns in Tahoe, Colorado, and Jackson Hole is giving people an opportunity to have affordable, collaborative and productive spaces to work while living or visiting the mountains." Mike Rogge, a former editor at Powder magazine, is also a founder of the Tahoe Mill Collective. 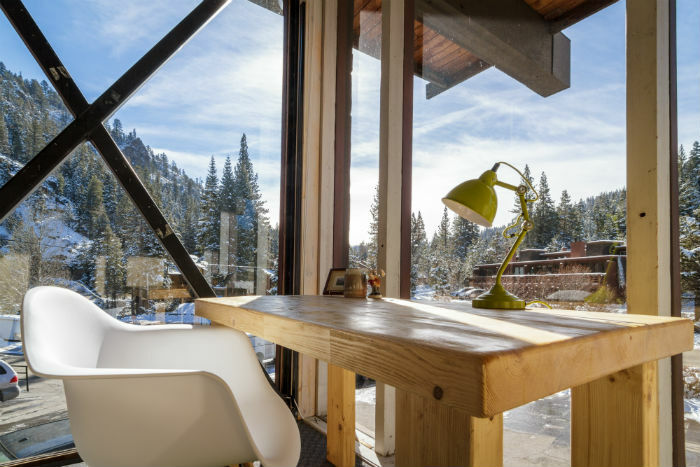 He's seen photographers hook-up with leading apparel companies, and says other members include start-up clothing and accessory companies and ski industry sales reps.
"It's developed into a shared space of friends, I'm blown away on a daily basis by the projects being tackled and accomplished in our little building," he says. "While it's great to see skiers coming together in the work place, I enjoy meeting folks from other walks of life. My favorite times are when someone has a project breakthrough, I love sharing that moment with a co-worker." A study by three researchers at the University of Michigan's Ross School of Business found that people who use co-working spaces feel their work is more meaningful and thriving, they have more job control, and they feel like part of a community. Zander Hartung was one of the first to join Spark Jackson Hole. He was living in New York City, working for a Denver manufacturing company, but he had friends in Jackson and visited each winter. His stays kept getting longer and longer so last season he signed on to Spark where he worked for most of February and March. Since then he's been working out of Spark full time. 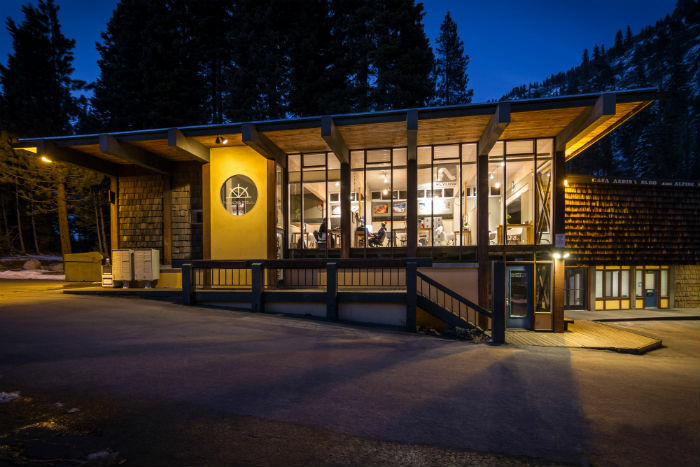 "Being here totally changed my Jackson experience, it opened up a new community of people other than the people I was skiing with, so I've made the decision to move out here." "I now have a great new relationship with a talented graphic designer that's benefiting both the magazine and my customers and even got to meet the Governor and introduce him to our publication. WOW! This would have never happened in my home office," she says.